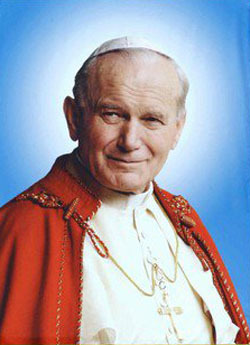 Today is the optional feast day for the memorial of Blessed John Paul II. On May 1, 2011, Pope John Paul II was beatified by his successor, Pope Benedict XVI. Last year, the United States Bishops asked the Vatican if they could enter this memorial into the liturgical calendar in the United States and the Vatican confirmed that request. You can read about that here. Now as for the title of today’s post – On a Mission from God is really in reference to the picture you see at the left. It is a picture of then, Karol Wojtyla, just before he was ordained a priest in 1946 (November 1 was his ordination day). 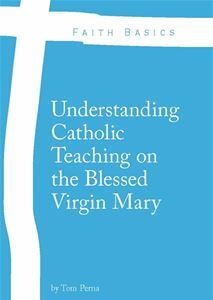 It is also the title of the book by Mary Beth Bonacci. The reason I chose this as today’s blog post title is because not only did he fulfill the mission set out before him, he took it up another 10 notches and brought the Vatican II Council to the forefront of the Catholic Church through his many writings, speeches, and visits to countries around the globe. When speaking about Blessed John Paul, the Mission is not Impossible, but the Mission is – All Things are Possible with God – Be Not Afraid! He made 104 pastoral visits outside Italy and 146 within Italy. As Bishop of Rome, he visited 317 of the city’s 333 parishes. The 19 World Youth Days celebrated during his pontificate brought together millions of young people from all over the world. He celebrated 147 beatification ceremonies during which he proclaimed 1,338 individuals “Blessed” and 51 Canonizations for a total of 482 Saints. He made Thérèse of the Child Jesus a Doctor of the Church. Magisterial documents, he wrote… 14 Encyclicals, 15 Apostolic Exhortations, 11 Apostolic Constitutions and 45 Apostolic Letters. As a private Doctor, he also published five books of his own. His greatest work of all could be considered – Theology of the Body. The 129 Wednesday Audiences explaining the importance of the human person and human sexuality.